BuddyClub Racing Spec Seat Rail! 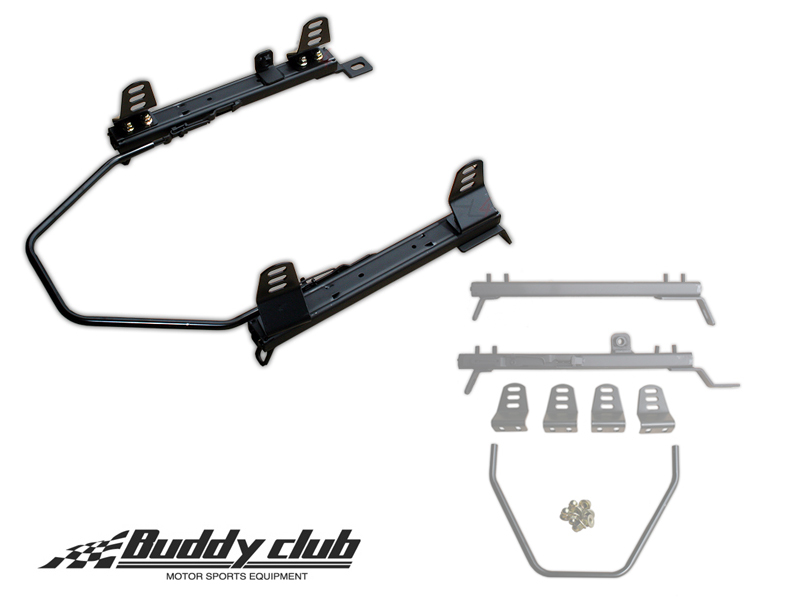 The BuddyClub Super Low Down seat rail works with BuddyClub bucket seats and most other side mount racing buckets, i.e. Corbeau, Sparco, BiMarco, etc. It will also work with UltraShield and Kirkey Aluminum seats with LIGHT fabrication (hole drilling). There are sold AS AN INDIVIDUAL SET PER SEAT. Introducing BuddyClub Racing Spec Seat Rail! The BuddyClub Super Low Down seat rail works with BuddyClub bucket seats and many other side mount racing buckets, i.e. Mugen, Bride, Sparco, Momo. There's no need to worry about your seat sitting too high with these. Rail comes with 3 height adjustments for the front and the rear. Q: What are the weights on these brackets? Minimum weight in STU for seats + brackets is 25lbs. The seat I'm looking at is in the 17lb range, want to stay close to the minimum 25lbs combined. A: The bracket is approx 7-8lbs....we have had other customers use this bracket with NRG seats which are around 16-17lbs and they had to add a few ounces of weight to the bottom of the seat.